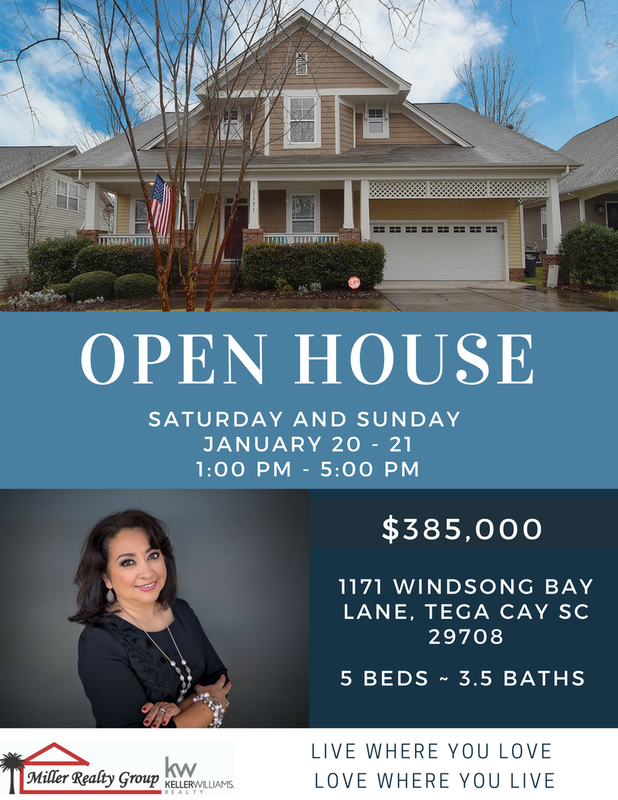 You are here: Home / Tega Cay Homes For Sale / Open House ~ 1171 Windsong Bay Lane, Tega Cay SC 29708 ~ Sat – Sun 1/20 -1/21 ~ 1PM -5PM Both Days! Have you?been waiting?for your?opportunity to live in the desirable Tega Cay neighborhood of SC? Well, we have the perfect home for you, and it will be open this weekend. If you don’t want to wait, call one of our Buyer Specialists for your very own private tour! 803-828-7838. CLICK HERE to see more of this beauty.